However it’s spelled, pirohi are made of thinly rolled dough with various fillings. 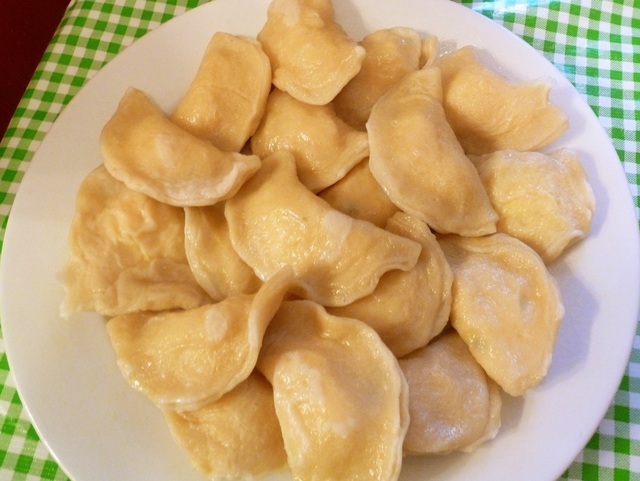 Our Saint Michael’s pirohi are pre-cooked (boiled) and only need heated up to make a delicious snack, meal, or dessert! Whether served plain or with butter, sour cream, or onions ... one word describes our pirohi … DELICIOUS! CALL 847-647-8398 to place an order (only sold during Advent and Lent)! Pirohi are usually made weekly (on Fridays) during Advent and Lent. To place an order for fresh (unfrozen) pirohi, please call a few days ahead for Friday pick-up. Thank you for supporting our Pirohi Fundraiser! CALL 847-647-8398 to place an order!